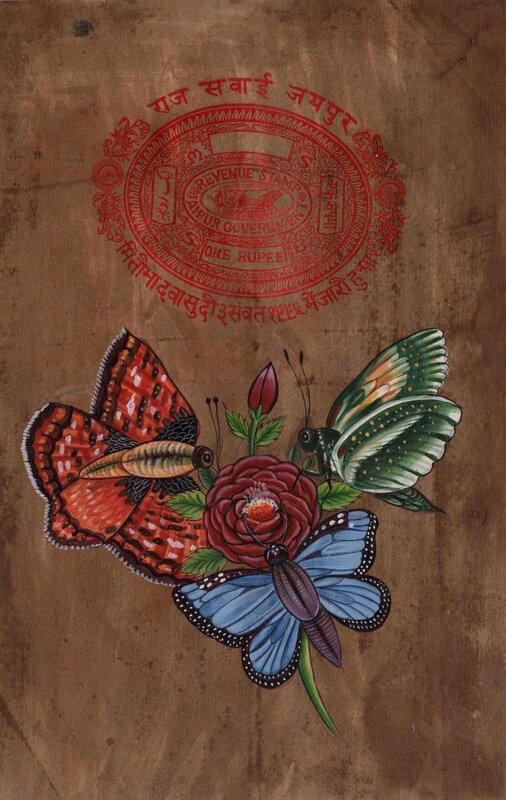 In this wonderful artwork the Indian nature miniature artist has placed a colorful butterfly & plant against a solid background. The painting exudes a blend of naturalism and aesthetic beauty that brings forth a stunning portrait of nature at its best. This painting is an exquisite work of art that will provide a breath of fresh air to your home decor. Buy it and add it to your collection now.